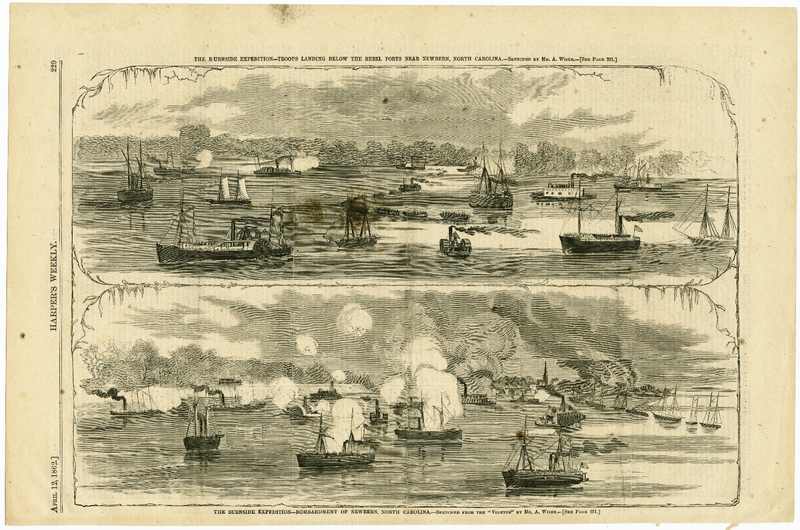 12 April 1862: Illustrations of naval vessels near New Bern, N.C. Item description: Two illustrations from Harper’s Weekly, 12 April 1862, p. 229. Item citation: From the North Carolina Collection Photographic Archives, North Carolina Collection, Wilson Library, University of North Carolina at Chapel Hill. This entry was posted in North Carolina Collection and tagged Burnside, Burnside Expedition, Harper's Weekly, illustrations, naval operations. Bookmark the permalink.